This is a guest lecture by Laura Cha, former vice chair of the China Securities Regulatory Commission and a member of the Executive Council of Hong Kong. In her introductory remarks, Ms. Cha emphasizes career opportunities in the private as well as the public sector of financial markets, and elaborates on her own career as a regulator in the Chinese market. In an ensuing discussion with Professor Shiller, she discusses motivations to work in the public sector, emphasizing the marketability of public sector skills in the private sector, but also a sense of mission to influence the creation and proper functioning of markets. Subsequently, in a conversation with the students of the class, she addresses the application and enforcement of regulation in China. Moreover, she outlines channels through which the Chinese government supports start-up companies, and addresses the recent mergers of various financial exchanges all over the world. Further topics of the conversation include the registration of Chinese companies on overseas exchanges, the plans for an international board at the Shanghai Stock Exchange, and a personal account of her studies at law school. Ms. Cha concludes her guest lecture by sharing her views about the Basel III rules. Professor Robert Shiller: OK. Oh, there, OK. Hi, Laura, do you see me? Laura Cha: Hi. Hello. Finally. Finally. Professor Robert Shiller: Thank you for–thank you for staying up late to talk to us, I know it’s 9 pm now, in Hong Kong. 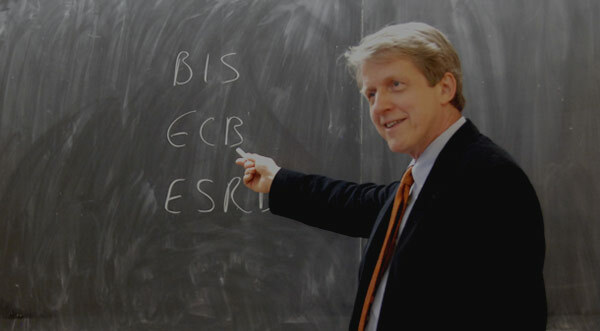 Professor Robert Shiller: OK. All right, I’m very pleased to have today Laura Cha, who is connected to us electronically, live from Hong Kong. It’s 9 pm in Hong Kong. Well, we’ve already talked about Laura, she’s one of the most distinguished executives in Asia. She is on the Executive Council of Hong Kong. She’s a director at HSBC, she’s served on the China Securities Regulatory Commission, and recently at the National People’s Congress of China, which is a remarkable set of achievements for someone, for any one person. And I understand, the first Hong Kong citizen to serve in the government of the People’s Republic. But I guess, the really big thing that comes to my mind is, that HSBC is one of the most important and biggest banks in the world. And I looked it up and I found that five branch offices of HSBC are within a few miles of right here. Anyway, Laura–I’m looking at you there–why don’t you, you could introduce yourself, talk about what you do, and what your thoughts are about the financial situation are and then we will turn it over to questions. Laura Cha: OK. First of all, good morning to you all. Thank you, Bob, for inviting me here, via electronically. It is my honor too have the opportunity to talk to you. When I was invited to give this talk, I went on the internet and see that your course’s syllabus is very comprehensive, and I would imagine that at the end of the course you would have covered or will cover just about every aspect of the financial markets. And you will have a good idea of the function of the markets and how it works. What I want to do in the next 20 minutes or so, is really to give you an overview of what it is like to work in the financial markets, to have a job in the financial market, and perhaps, eventually, you may want to have a career in financial services. And then, after that I would be happy to answer any questions that Bob, you, or anyone of you want to raise with me. I think, when one talk about a career or job in the financial services, one tends to think about the private sector. The banks, the investment banks, the fund management companies, and, of course, the trading, the traders, both in terms of stocks, futures, options. Of course, in the last decade, hedge funds, private equity. There’s no question that the private sector is very exciting. There’s no question that a job or career in financial services in the private sector is, by the most of any standard, is very financially rewarding. But what I really want to talk to you about, is the other side of the financial markets, which is the public sector side, and I want to share with you my own experience in the public sector. When one talks about financial services, as I mentioned, we talk about the banks–the intermediaries, what we call the intermediaries–the practitioners, people who practice in the financial market. If you are a college graduate, typically, if you go to one of these firms, you start out as a research assistant. You do research. If you are in a bank you will learn to read, how to interpret balance sheets. How to decide, when people come to you for loans, how you evaluate them, and what is the creditworthiness of the potential client, whether you should or should not lend money. If you go to work for a private equity firm, you do the same kind of research, except that it’s for companies. You will help the firm decide whether a particular transaction is worthy to take on. And in between, of course, there are all kinds of financial mechanisms, or tools, products, as one would say, that you devise, that the markets devise to facilitate these financial services. And those have been covered in your course, I can see that. But, as I mentioned, the other side of the financial service, the other side of the financial market, is really the regulators. The public sector side, the policy makers, the standard-setters, bodies such as the Financial Accounting Standards Board. And all of these are the other part of the equation, which help to make the financial market function well. And it is important for the public sector to have equally bright students. I think, some of us get a little worried. In the last decade, a lot of the bright students, who want to go into financial services, all go into the private sector. The public sector is important, because the regulators and policy setters help ensure that the market function in an orderly fashion. We want to make clear as regulators and policy setters, we want to make sure that the market not only functions properly, that the playing field is level, that the rules are clear, so that financial service, and finance, can indeed perform its function in society. And that’s where, in the U.S., when we have the SEC, the CFTC, the Fed, and of course the exchanges, and, not to mention, the Department of Justice, the State Attorney General’s Office, et cetera, et cetera. What the public sector do, is really to make sure that people on the private sector, in the banks, in the investment banks, in the fund management, and so on, they behave properly, so that the investors are treated fairly and equally. So that everyone is entitled or given in the same kind of information, so that no one particular group has an advantage over the other group. And that’s where investor protection comes in, corporate governance comes in. And I myself, my career has largely been in the public sector side. Although I started out as a lawyer, I was trained as a lawyer and I practiced as a lawyer for seven, eight years in Foreign Direct Investment into China in the ’80s. And I dealt with a lot of multinationals on the corporate side, in the finance side. My foray into the public sector as a regulator came out of the blue. I was headhunted to join the newly founded Securities and Futures Commission in Hong Kong. That was 1990. And I thought, I will do it for a couple years, learn to broaden my horizon, and see what it is like to be in the public sector. And I enjoyed what I did, and I stayed 10 years. And then, I was made an offer by the central government, and I went to work for the Chinese regulator for almost four years, and became the first person outside of Mainland China to join the Chinese government. So, I had a total 14 years of experience as a regulator. And I have to say that it has been hugely gratifying, because as a regulator and a policy setter I was able to facilitate the development of markets in Hong Kong. In the early days, Hong Kong was a–in the early days, I mean in the ’70s and the ’80s–Hong Kong was largely local market. The international players like Goldman Sachs and Morgan Stanley, they came and they went, they took a look and decided the Hong Kong market was too small for them. All that took a change in 1992, when the Chinese government decided that they want to use the Hong Kong market as a way to help transform or reform the state-owned enterprises. And by that time, I was already at the Securities and Futures Commission in Hong Kong and because of my experience working in the Chinese market in the ’80s, I became the only person who was the familiar enough with the Chinese market to take on that responsibility of really designing a structure for state-owned enterprises in China to become listed companies in Hong Kong. And it was groundbreaking work. At the time, we knew that it was very important. We didn’t know how important it would become later on. Some 20 years later, the Hong Kong market now is a totally international market. All the big players are here, and more than half of our market capitalization came from Chinese enterprises. More than half of the turnover on our stock exchange are from Chinese related companies, Chinese companies directly or what we call ”red chips.” So, the coming of the Chinese enterprises to Hong Kong really transformed not only to state-owned enterprises in China, but also the nature and stature of the Hong Kong market. I think today most people will recognize that Hong Kong is an important financial center. And I would say that, without the Chinese enterprises, we would still have been a very local market, because our economy itself, Hong Kong’s economy, has not been that big. It really is what had happened in China that has propelled our change. And as a regulator, I was fortunate to have that opportunity and to help structure the market and spearhead changes. The other thing that I did as a regulator in Hong Kong was, in the late ’90s, ‘98, ‘99, and 2000, there was a wave of demutualization of stock exchanges throughout the world. And I helped demutualize the stock and futures exchange in Hong Kong, merged them together, together with our clearinghouse, and we became–the Stock Exchange of Hong Kong became a listed company. Today, as an exchange, it has the largest market cap in the world, more than the New York Stock Exchange and the London Stock Exchange. And when I went to China, the market was in the nascent state, bearing in mind that it was a socialist, communist-socialist, country. Capitalism was the new thing and stock market was an even newer thing in 1991. So, I kind of witnessed, and then later on was fortunate enough, when I went to work in the Chinese government, to participate in that grow of the Chinese market. And what I did in my almost four years as a Chinese regulator was to promote corporate governance. I introduced quarterly reporting, the requirement of independence of executive directors, and it was exciting times. What I want to say, really, is the public sector work that would–at least for me, I felt that I was making a difference. I was able to help the market change, and if things were not right, I felt that I had the ability to make things right, to make things correct. Not always successful, I have to say. But what I want to really impress upon you all is that, while the private sector work in the financial services is extremely financially rewarding, in the public sector it’s less so, but on a different level, I think the policymakers do perform a social good. And the good thing about the United States is, there is a lot of interchange between the public and private sectors. People do move from the private sector to the public sector, and back again. I think that’s what make the U.S. market vibrant, among other things. And I think, it is a tradition that many other countries and jurisdictions want to emulate. Namely, the people, who have been in the private sector, who has the market experience needed in the public sector. In other words, you cannot have regulators, who have very little knowledge of how the market works. At the same time, those people, who have been in the public sector, have kind of instilled on them the discipline of an orderly market, doing the right thing for the market. And that, when you have it transplanted or being brought back into the private sector, it is also a good thing for the, and healthy, for the market as well. The other thing that I want to really talk about, other than the public sector work, and as a career choice or a job choice in the financial services, is really the globalized nature of the markets these days. I think, in my days, when I was going to college and law school in the United States, the U.S. was, and I don’t mean to say that it is no longer, everybody looked to the U.S. to be the center of the world. Particularly in financial services, everything happened in the U.S., and to a large extent it still does, but I think the world outside the U.S. has undergone a lot of changes. A globalized market means, that today young people will find equally interesting and exciting work opportunity in financial services outside of the United States. I think in my days, in the ’80s, certainly people, when they say they want to work outside the U.S., it would be in a mature market like Europe, the U.K. or Japan. I think, increasingly more so in the last decade, opportunities in Asia and Latin America in financial services have become very exciting for young graduates anywhere. And I would say, if you are equipped as a young graduate and you wanted a career in financial services, I think you should not rule out the possibility of working in a foreign country, in the emerging market in particular. I think, in an emerging market you will learn, in a way, faster, because you would be given more opportunities, more responsibility, at an early age. Your learning curve will be steeper. And it is also interesting, as well as frustrating, I have to say, working in a developing market. There are things that you think that you can do, and then, there are things, that the rules are not as clear, and the environment and the people around you are not as sophisticated or educated as you are. But I think, in today’s world, the globalized market means that the opportunities are everywhere, and I think particularly the emerging markets will offer a lot of opportunities. Bob, I don’t know whether this is enough as an introduction for us to carry on discussion, or how do you think about that? Professor Robert Shiller: Yes, very good. I’ll turn and face the class. I can’t see you very well, but I thought it was very interesting hearing your comments. What particularly struck me was your emphasis on the public sector and about regulators. And it reminds me–I visited the SEC once, recently, in the U.S., and I had lunch with people there, in Washington. And I found that a lot of them had worked in the private sector in the past, and I was starting to wonder they must’ve taken a big pay cut. Why are you here at the SEC? It crossed my mind, maybe they’re losers, maybe they didn’t make it in Wall Street, they can’t–but when I talked with them, I got a different idea. Maybe they’re here, because they find all aspects of finance exciting, and maybe the purpose of life isn’t to make a huge amount of money. So, I wonder if you agree with my assessment. I mean, why do people work in the public sector anyway, if pay is lower? And that’s a very open and big question, maybe you have a response to that. Laura Cha: I think, there are a couple of reasons for that. I think, one, that a career in public sector need not be permanent. You can work in the public sector for a number of years, and then go out into the private sectors. And your public sector experience is hugely marketable, if we could use that term. I know that, particularly in the U.S., if you had experience with the CFTC and the SEC or the Fed you are very–I mean, provided that you’re not really just in the technical aspect and you are in the broad policy aspect. I think that you have a very marketable skill that people in the private sector don’t necessarily have. If you change job in the private sector, one bank and another, one private equity and another hedge fund, they will be more or less the same, but I think in the public sector that’s where the difference is. That’s one. The practical aspect is, of course, it is more steady work. The financial–how should I say? Yes, the financial reward is huge in the private sector but also it is subject to a cyclical–when the market is down, there are massive layoffs. And the public sector is a little more steady. So, I think it could be a different phase in one’s career. A certain phase you might want to have a more steady–or you want to accumulate enough experience before you go out into the private sector, or vice versa. And I have seen, among my friends, among the regulators, some people felt that they have made enough money, enough is a relative term, they make enough in the private sector and they want to go in the public sector for a few years. I think that’s also one of the reasons. Professor Robert Shiller: Listening to what you said, it seems to me, in some sense, working in the public sector is an opportunity but also maybe a mission. When I’m thinking of what you helped achieve for China, I think it’s a really important mission in that you are getting the financial markets working right. And the things you talked about, like independent directors on Chinese companies, is a way of combating the problem of corruption–you didn’t use the word corruption, or maybe that’s too strong of a word. But when things aren’t up an up. And I thought that part of the motivation that maybe–I’m sure you have, and maybe you can confirm this, it’s just a sense of being part of history and part of making things right. Laura Cha: Yes. I think, absolutely. When I became a regulator, I thought it was just going to be two, three years. I was going to broaden my horizon, and it would help my career in the law, and then just one thing led to the other, and I found that it was extremely–how should I say? It was very gratifying for me to be in a position, where I feel that I was really participating in the development of a market. I’m sure, colleagues in the SEC and CFTC feel the same way in a different manner, because obviously the U.S. market is at a different stage. And even among the regulators, there are the people, who are in enforcement, where they try to catch the bad guys, the insider dealing cases that we see nowadays. Those on the enforcement–and of course the Department of Justice, the State Attorney General’s Office–those people also feel that there is a mission. I think that’s also a very important aspect of financial market. I just don’t want young people nowadays to think of financial services purely in the private sector. Professor Robert Shiller: Another of our outside speakers in this course this semester was Hank Greenberg, who actually succeeded C.V. Starr as the founder of what was then the world’s biggest insurance company AIG. And one of the things that he told us was, how did AIG get so successful? Part of it was because it embraced the emerging world, even when it wasn’t popular to do so. AIG was founded in–I think it was Beijing or Shanghai maybe, a long time ago. And I thought that maybe he and you have a similar–it seems like the emerging world is obviously more and more a part of our economy and will continue to be. And that business being connected–we are getting more and more international, as you were saying. It kind of makes for a different life. One thing that AIG–and Hank Greenberg emphasized to us is, that he has a life of diplomacy in some sense. He became a diplomat, or like an ambassador from the business community, because to work with all these different countries requires a certain sense of mission and purpose and skills. And I don’t know if this is a well-framed question, but it seems like what you were saying implies an interesting career, involving in the emerging world and a career that involves a broad scope of skills, not just narrow finance skills. Does that prompt you? Laura Cha: Yes. I very much agree with Hank Greenberg’s view. I think, when you work in an emerging market or you work in emerging markets, you develop a different set of skills. And I think, in today’s globalized world there are more and more multicultural, global professionals. I think, we’re talking about 20, 30 years ago, U.S. expatriates, for that matter, any other expatriates from the U.K., for example, go out to the emerging market. And people kind of use it as a stint, you work for five, six years, and you go back to your homeland, and your roots will be in your homeland. Which is perfectly fine. And that’s what most people do. But I think in the last decade, I have seen and I have come across more and more young professionals who–because of the education, because of the background what I would call global professionals. They’re multicultural, many of them are multilingual, and they will move job to job in the overseas market. And people look upon it as life’s adventure. You live in a country for five, six years, and then you move on, and the skills that you acquire along the way really enrich yourself. Enrich oneself, and eventually, if you do go back or not go back to your homeland, it is some skill that will stay with you and change your perspective. And I think that kind of skill becoming increasingly important, when we have more and more cross-border transactions, and globalized markets, where, when something happens in one market, it has an effect way beyond the borders. And that’s what we’re seeing more and more nowadays. Professor Robert Shiller: I was going to ask the class for questions. While you’re thinking for a moment, let me ask one more question of you. Professor Robert Shiller: I just wondered about HSBC, which is another bank, like AIG, it originated in Hong Kong and Shanghai, but it has become such a world force. And I kind of wondered, when did that happen, how did that happen? Can you give us a nutshell, because it doesn’t happen to every Asian bank. Laura Cha: HSBC started in Hong Kong in 1865, and within a few months the Shanghai branch was set up the same year. So, we’ve been here 160 years or so. Originally it was trading–dealing with trade finance and so on. And it became the largest bank in Hong Kong over many decades. And the international push really started in the early ’90s, when HSBC started acquiring different banks. It acquired the Marine Midland Bank in the U.S., and it acquired the Midland Bank in the U.K. And from a bank, from a financial institution, which was largely local in Hong Kong with businesses in Asia, it became an international organization by acquisition. So, the head office moved from Hong Kong to London, I think, around ‘92, ‘93, when HSBC acquired the Midland Bank in the U.K., and the Bank of England required the HSBC to have the domicile in London to be regulated by the Bank of England. Since the ’90s, the HSBC had acquired one of the largest banks in France called CCF, it’s now called HSBC France. It has acquired Bank of Bermuda in Bermuda, and it has made a lot of acquisitions. Of course, the most famous, or infamous, acquisition in the U.S. was Household Finance about 10 years–less than 10 years ago. So, HSBC became an international financial institution really in the last, I would say, 15 to 20 years. Now, today, 1/3 of our profit comes from Hong Kong, 1/3 comes from the rest of Asia, 25% or so from U.K. and Europe, the U.S. about 6% and Latin America is about 9% roughly. So, Asia is a hugely important market for HSBC, and the acronym is Hong Kong and Shanghai Banking Corporation, which was the original name when we were set up in 1865. So, we do not have a controlling shareholder, we are truly diversified in our shareholder base. A larger shareholder holds no more than 3% to 4%. It’s an institutional investor, so they represent many smaller investors. So, it is really run by the management, professional management, and it has done a, I would have to say, a very good job in the last two decades. Student: Hi, thank you for coming. I was just curious, a lot of people have mentioned that the lack of regulation and enforcement of contracts is a main barrier to foreign investment in Asian bond markets. How do you think China will address this, and what are the primary differences in the regulation between China and the United States? Laura Cha: Can you say your question again? I didn’t catch it. I only hear regulation, can you tell me your question again? Student: Yes. Many people have mentioned that the lack of regulation and enforcement of contracts is a main barrier to foreign investment in Asian bond markets. How do you think China will address this? Laura Cha: How do I think what? Student: How will China address this issue? The lack of regulation. Laura Cha: Right, I think China does not have a lack of regulation. There are lots of regulations in China. What I would say is, that there has to be better application and enforcement of regulations, rather than periodic and not consistent regulation. I think one of the most important things for the market in terms of regulation is, that they have to be clear, they have to be consistently applied, and they have to be fair. It is not a lack of regulation that is the major problem. I think, as in many emerging markets, China is still trying to cope with the issue of stringent enforcement. And I think, the regulators in China recognize that there is a lot that they need to do better in terms of enforcement. And the problem that I see in China is, that it is developing so fast, the market is way ahead, developing faster and quicker and bigger than the government and the regulator have anticipated. If we put ourselves back in the U.S in, let’s say the crash of the late ’20s, and when the SEC was set up in 1934, I would say, China is probably slightly better than the U.S. in those days. But if we compare with the development of the U.S. market in the last five decades or so, of course, the U.S. has developed a lot more, and China does not have the luxury to wait 50 years for its rules and enforcement culture to develop. And it is catching up. Whether the lack of regulation is therefore an impediment to foreign investment, I think you’ll have to look at it from several angles. China to date is the largest recipient of foreign direct investments, so, in a way, if the conditions in China are so bad, it would not have attracted so much foreign direct investment. I’m not saying that the environment in China is really top notch, compared with the developed markets, but there are probably enough opportunities, and people do make enough money, so that it is by statistics the largest recipient of foreign direct investment. And that is a fact compiled by international agencies. So, I don’t think that it has been an impediment, it is an impediment when we talk about individual cases, it is far from satisfactory. Professor Robert Shiller: Can I just interject a question there? Some people say that the SEC in the United States could use much more resources. Does China give enough resources to enforcement? It seems to me that there is a problem in emerging countries, everywhere, that it’s expensive. And the country has a budget, right, which is still attracted to other things. So, do you think that China devotes enough resources to enforcement? Laura Cha: I think that every regulator would tell you, that they need more resources as far as enforcement is concerned. I think China could certainly do with more. I think one aspect is that you have to have enough people to carry out enforcement. And it is trying to catch up. And, as I said, because the market is developing so fast, that the regulators are always trying to play catch up, and that is not ideal. I think the SEC could do with more resources, I would absolutely agree with that. Any regulators you go to, they always felt that the under-resourced aspect is the enforcement. Professor Robert Shiller: Other questions? Right here. Student: I was wondering, if you think that there are any impediments to development in the Chinese or Hong Kong markets based on the government of China. You mentioned earlier that there was a communist tradition–that a lot of the businesses that you worked with were state-oriented or state-owned. So, I was wondering, if you think that that will have to change in the future, or if the market will change or in some way adapt to allow those to continue to operate as they do now? Laura Cha: Do you mean the state-owned enterprises? When you say impediment, what you mean by that? Student: You mentioned that there was a tradition of communism and state-owned enterprises, that a lot of the businesses were a little bit wary of a capitalist system, and that you played a pivotal role in introducing that idea and really implementing it. Do you think that type of change will continue? Laura Cha: Very much so. I think capitalism has taken deep root in China already. If you go to China nowadays, the state-owned enterprises very much operate as any other enterprises. The difference is that the controlling shareholder is the state, is some sort of government entity. But it operates, if you look at some of the larger state-owned enterprises, like China Mobile, Petrol China, China Telecom–they are still state-owned enterprises, no question, because their majority shareholder, their controlling shareholder, is the state, but it operates in a commercial way. Of course, some people would say that there are policy preferences, advantages, to being state-owned enterprises. But I think, by and large, now the state-owned enterprises, particularly those that are listed on the exchange and some of those are listed in the U.S. market as well, they do have to operate in a completely commercial manner. They have shareholders to answer to other than the state. They have minority shareholders, who are public shareholders, and I think that’s where the discipline comes in, the market discipline comes in. So, when you say, whether any change will take place, change has already taken place and will continue to take place. Professor Robert Shiller: Is there another–Let me just add something. It occurs to me that, at least in the U.S., there has been a policy going back to the 1930s of trying to encourage little, start-up companies. We created the Small Business Administration, which subsidizes–the idea has been that big things grow out of small beginnings. I wonder if you could comment on China. Does China support young start-ups adequately? Laura Cha: It does. It has been now two years, since the Growth Enterprise Board has been set up in the Shenzhen Stock Exchange, what we call the ”gem board.” And it has lower listing criteria, and that is more or less a ”buyers beware” market. I mean, it is like any other ”buyers beware” market, it is fraught with a number of high profile, high PE companies, which may or may not develop into something more concrete. But I think the idea is to use the capital market to nurture the small business, that’s the growth enterprise market. Shenzhen Stock Exchange, which is across the border from Hong Kong, also have a–part of it’s board is called Small-Medium Enterprise Board. So, if you are not a growth company but you are a small- or medium-sized company, then you are listed on this other board. So, there are two specific boards addressing exactly the question you raised, namely to nurture the smaller companies. Student: Hi, could you give a couple of examples, maybe, of the skills you learned in the public sector that helped you, now working at HSBC, or maybe a situation, where, because of what you learned in the public sector, you had a better decision making? Laura Cha: That’s a good question. I think, what I took away most from my years as a regulator is really to look at an issue from the macro level. I think in the private sector, when you are given a problem, when you are, let’s say, in a private firm, in a bank, or a law firm, or any professional firm, you’re given a set of problems, perhaps a client has a certain problem, and your role is to help solve that problem. And the context of that client alone, and in the confined of that problem. And most of the time, you help the client to overcome some either legal issues or other commercial issues, so that the client can get to where he wants to go. Whether it’s acquisition or merger or disposal, et cetera. In the public sector as a regulator, you learn to look at the issue that is presented to you from a more macro level in the sense that, how does this particular issue impact on the market as a whole? I’ll give you an example: A group of companies in Hong Kong came to the regulator in Hong Kong and asked for certain exemptions. The reasons that they put forward are quite cogent and not unreasonable from the client’s point of view, from the company’s point of view. Now, if I were in my role as a lawyer, I would fight very hard for the client to get that exemption, but as a regulator I have to look at what does this–if I give the exemption what kind of knock-on effect will it have? It will set a precedent? And is it a good precedent? Or is it not a good precedent? If it is a good precedent, then it should not be just given to this one particular company. Then, perhaps rules should be amended in such a way, that what this client, what this particular group of company wants, should be given to everyone who wants to apply for it. But if it is not, and if it is just purely for the benefit of this one particular group of company, then you really should not give in to that exemption. And you do have to recognize that there are different considerations, such as the size of the group, the impact that it may have on the market, et cetera. So, the skills that one learn as a regulator is really to look at the problem presented to you from a more–at a higher level, you look at the entire scenario and how this piece would fit into a bigger picture, where in the private sector you don’t need to. And how it’s helpful to me now, in my current position, is that I am able, I think, to interpret policy and to anticipate policy, because I could see that certain things are happening a certain way that as a regulator, those are the issues that the regulators are likely to address. And therefore, from the private sector we should be prepared for the changes that will take place. So, that’s in a very abstract way. I can’t quote you exact examples for obvious reasons, but that is–in a nutshell, I certainly find it helped me as a person to look at matters from a broader point of view. Student: Hi, thank you. You spoke about the demutualization of stock exchanges. And one of the outcomes you’re seeing of that is the mergers and acquisitions of stock exchanges themselves. And I think, in the last one year itself we’ve seen a whole bunch of very interesting deals, Singapore, Australia, New York and Deutsche, et cetera. And one of the one’s that really caught my attention was the Shanghai-Brazil link-up. So, perhaps I want to hear your views on, do you think this wave of tie-ups is going to carry on, and if so, what form do you think it will take in the coming years? Laura Cha: I think in the last decade, the exchanges around the world have really taken on–or more than a decade now, the landscape has completely changed. It used to be, an exchange is kind of like a national symbol. Each nation has its own exchange, and that is almost like a national–how should I say? It’s a utility that cannot be taken over by a foreign country. We saw that went by the wayside, when the New York Stock Exchange acquired Euronext, and of course NASDAQ have alliances, and just different ways. And now we are into a second phase, where these already consolidated and aligned exchanges are forming even more consolidation. That may or may not happen, there’s a lot of talk about it. And I think, what drives this latest wave of exchange acquisitions and alliances are really the easy end, electronic networks, that are driving the cost of trading down, that leave the larger exchanges like the NYSE–a lot of the volume has gone to the easy end, and they really have to align with others to get the business up. The other is products. I think the merger of exchanges would only make sense when there are mutually complimentary products. And geography also makes sense. And how will I see the outcome? I think, many markets still look upon their exchange as a national symbol and they do not necessarily want–it’s more a matter of the local politicians’ sentiment, rather than looking at the commercial side and looking at the political side. Someone once told me about this Singapore and Australian stock exchange–the pending merger that has been announced–I don’t have the latest, I don’t know whether it’s going to go through. Somebody in Australia told me, well, it is almost like Qantas being taken over by Singapore Airlines. In the commercial world, well, if that makes sense, why not? But I think, there is still a lot of sentiment that a stock exchange is something very national. So, I don’t know how that will play out, because all these mergers are subject to the votes of the local politicians. And so, they may have different considerations than just purely the commercial side. Student: Hello. Hi. Thank you for your time. I have sort of a two-part questions. The first part, in regards to all these Chinese companies that are registered overseas, that sort of complicates the regulations, so I was wondering, if you could talk about how Chinese companies being registered overseas and being listed in overseas exchanges. And the second part, the question is, I’ve heard, at least I’ve read that there’s a new international board that’s being set up in China to encourage these companies to come back to mainland China or Hong Kong. So, I was wondering if you could talk a little bit about how it’s going to be shaped, some of it’s challenges, and what do you think would be most important for success? Laura Cha: OK. The first part of your question, Chinese companies that are registered overseas and listed overseas. There is no rule that forbids Chinese companies to be registered anywhere. I think, let’s say a company in China, they can elect to register themself in Hong Kong, in Bermuda, Cayman Islands, wherever, U.S., Delaware. And the matter of listing is really up to the issuer itself, if they decided that a listing in the U.S., whether it’s NASDAQ or the NYSE, makes sense, that’s where they would list. And once they are listed, they are subject to the rules and regulations of the SEC just like anybody else, just like any of the other foreign companies. So, I think the place of listing really determines the kind of rules that would be applied to that company. Once a company is listed, let’s say on the New York Stock Exchange, then the U.S. rules will come in, and whether it is a Chinese company is kind of irrelevant. It will have to be complying with the U.S. rules just like everybody else. So, that’s the first part of your question, I don’t know whether that answers it. The second part of your question, about the international board in Shanghai. Yes, there has been a lot of talk about the Shanghai Stock Exchange setting up an international board. Meaning that a board, where companies registered outside of China such as the red chips, which are not listed in China, would return to the Shanghai Stock Exchange. Because they are not registered in China, they are therefore not a Chinese company, they are therefore kind of like a foreign company, because they registered in Hong Kong or Bermuda or wherever. The idea of the international board is to attract not only these types of Chinese company that have been registered outside, but for companies, that are multinationals, that are already listed in the outside market, to be inside China. And the major reason that I can discern is, one, to give the Chinese investor a wider variety of products. Because the renminbi is still a non-convertible currency, the vast majority of Chinese investors can only invest in the domestic market, only in the Chinese companies that are listed there. They cannot easily invest in, let’s say Microsoft, HSBC, IBM, General Motors, et cetera. So, I think the Chinese government has thought, well, maybe we can bring some of the companies to China, for these companies to raise capital and issue shares in China, so that the Chinese investors will be able to asses it. The second part is really to raise the profile and the standard of the Shanghai Stock Exchange. The Shanghai Stock Exchange has ambition to be an international financial center. Domestic documents have said that they should be developed into an international financial center by the year 2020. And one of roots of reaching that goal is to have an international board for international companies. And that is, what, I think, the Shanghai government and the Shanghai Stock Exchange are setting out to do. But to date, the rules have not yet been promulgated. We don’t know when it will. I was a delegate to the National People’s Congress, and we met in March [addition: 2011], earlier this month, and there’s no discussion or timetable that has been set. Many people think, it would be a good thing. Some people inside China think that it will not be such a good thing, because it will divert the savings to foreign companies, but I think most people think that it will be a good thing for China. So, I don’t know whether that answers your question. Do you have a second part to the second question? I might have missed it. Student: No, I think that really answered my question. But the first part, actually the reason why I asked the first part of the questions was, because a lot of the recent frauds that came up happened or were discovered, because a lot of Chinese companies were registering with the New York Stock Exchange had a filing with the SEC, whereas they also have a filing for their own government, the Chinese government. And then these filings for their annual reports, their numbers, would not match. And I just thought, there would be some kind of complications in terms of regulation, when the government’s regulating these companies. Laura Cha: I think that, whenever a company is listed on a foreign market, it is subject to the full rules and regulations of that market. There are no if’s and but’s. I think, the U.S. authority would take action against any fraud or misstatement. Professor Robert Shiller: OK, right here. Student: What type of law did you study, and how difficult did you find the transition from the legal world to the business world? Laura Cha: In law school, I took a lot of courses in corporate law, tax, corporate finance. I think the business world always interested me. The transition from law to–I think it was a two-step thing. I was a lawyer, and then I was a regulator, and then I am completely in the private sector now. So, the transition from a lawyer to a regulator wasn’t that difficult. I remember distinctly that, when I moved over to the Securities and Futures Commission, what I wasn’t used to was, I always want to correct every document that came before me, I want to improve it. I mean, it was just the lawyer in me. I wanted to make it written better, clearer, et cetera. And then, I had to kind of restrain myself, because I wasn’t there to correct and make a presentable document, but to really solve the problems. And then, having been a regulator and mostly really regulating the corporate world, I became quite familiar with the corporate finance side. And when I was at the Securities and Futures Commission in Hong Kong, I was the head of the corporate finance division for five years, and during that five years I came across all kinds of corporate transactions. Mergers and acquisitions, takeovers, and of course the IPOs, so that kind of helped me in where I am today. I wouldn’t really call me a banker per se, because I’m not in the operation side, I’m on the board, and I provide advisory service to HSBC, but I’m not really operating as a banker per se. So, I would say it wasn’t difficult, it was an evolution type of–throughout my career from one thing to the next. Student: Hi, I was wondering, having worked on the regulation side and, now working for the private sector, I think that puts you in a unique position to determine what the impact of internationalization of regulation will have on the financial services sector. So more specifically, what do you think the regulatory impact of Basel III will be? Because a lot of private sector individuals have come out and said that some of the requirements, in terms of the capital adequacy requirements and so on, have been very harsh. So, first of all, I guess, how do you think it’ll be phased in and, second of all, do you think it’s the appropriate level of regulation? Laura Cha: Basel III, I think, it is very costly to implement. I think, the banks have largely accepted that more stringent regulations will have to come our way because of the financial crisis of the last two years. But not all banks are alike, and certainly at HSBC we felt that we have been thrown in with the rest of them, whereas we had not taken any government money and we have done reasonably well, we have weathered the crisis reasonably well. But having said that, I think one has to accept that, whenever there’s a crisis, regulation will come in more stringently, and the pendulum will tend to swing too far one way. And then gradually, the pendulum will come–in the boom market, then the pendulum will swing back, and then it would be too lax, and then another crisis will happen, and then more rules will come in. It has always been like that, if you look at the history of any market, they always swung to the extreme. Sarbanes-Oxley, I think, is a good example. Sarbanes-Oxley came about, I don’t need to tell you, as a result of the Enron crisis. And of course the last crisis, which was the subprime crisis, was nothing like Enron. When I was a regulator, we always said, we’re always correcting yesterday’s problems. When a scandal happens, when a crisis happens, we think of rules to address what had gone wrong, but the next time something happens it’s not going to happen the same way. You are preventing the old problem from repeating itself, but the new problem will be entirely different. So, that’s just the way things are. And that’s the other reason, why I think some of the young and bright students should not always be in the private sector. The public sector needs a balance of that. And then, as far as international regulations are concerned, the regulators have talked for a long time about harmonization of standards. I don’t think it will happen, because different regulators, different national regulators, have their own priorities, and they don’t always have the same priorities. And the best example is really the Financial Stability Board, which came out of the last Asian financial crisis. It was called Financial Stability Forum, it is now a Financial Stability Board, and the idea is to ensure that there’s financial stability globally, but that takes a lot of work. I think, the G-20 is trying very hard, and of course the regulatory agencies as well as all the central bankers are now, hopefully, in a better cooperative mood, but I think to have one set of international and harmonized standards is very hard. Professor Robert Shiller: OK, I think we’re out of time. Laura, I just want to thank you. I think this was very good. Hearing the details of your career, and hearing all the different things you’ve done in both the public and private sector reminds me of–we’re going through a period of development of the world and expansion, and somebody has to get the details right. And I’m very impressed that you are one of those people who’s making things work. So, I’m glad that you were able to convey these thoughts to our students here today, and thank you very much.